Does a Ridge Racer at launch equal success for Sony? In today’s day and age quantifying success comes down to how a product performs commercially and how it performs critically. When it comes to hardware however, success is usually quantified by sheer amount of units sold. You can have a system with lots of great games (a la Dreamcast), but if it doesn’t perform well at retail it will be met with an untimely demise. 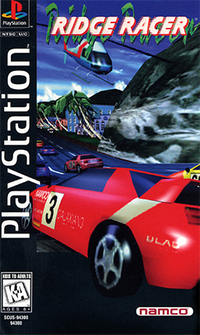 One thing about Sony hardware launches that had remained perpetual until now was with every launch a Ridge Racer game accompanied it [in the USA, forgetting about Japan for right now]. The PS Vita is the first system that Sony has released stateside that does not have Ridge Racer game available at launch. The Ridge Racer that is already out in Japan will not release in the USA until June of this year. While my hypothesis may be extremely wild in nature I still believe it should receive some examination. So I ask propose the question; does having a Ridge Racer title at launch equal success for Sony? Listed below I have gathered some statistics which seemed to be the most accurate ones I could find, but I will disclaim right now that they might not be 100% accurate, so don’t be too harsh on me if they are wrong or slightly different. But for the purpose of this small study they will give us a basis for analysis and possibly uncover either a fruitful or painful future for the PS Vita. Could this be the Vita's saving grace? By looking at the numbers, each Sony hardware release that has had a Ridge Racer at launch has performed well at retail (some better than others). I will not come out and say that Ridge Racer is the sole catalyzing factor for said success, but I believe it stems beyond pure coincidence. The Ridge games themselves haven’t evolved much over the years, but maybe that offers some level of comfort to those who decide to purchase a system at launch. You know what you are getting when you buy a Ridge Racer title and I know when I invest a significant amount of money into a hardware purchase I don’t want to take risks with software that might not meet my expectations. Every Ridge Racer game that I have purchased with new Sony hardware showcases the system in an alluring dimension and that could be another mitigating factor for hardware success. I know when a new piece of hardware is being talked about Sony or not I wonder if it is going to have a Ridge Racer game available at launch. Most systems in fact have Ridge games available at launch and go on to be successful (Xbox 360, Nintendo DS etc.). Purchase decisions have always been a great topic in the world of psychology, because our own individual psychologies determine how we justify spending any amount of money. For instance when you go to any store; let’s say a GameStop and you are looking to purchase a new system. You want to be sold on the features, value and also the software that is available for that platform. Most of us don’t like taking risks and with the lofty prices attached to hardware no one can blame you for searching for comfort. Maybe subconsciously Ridge Racer offers that comfort. It may sound crazy, but if you know that a piece of hardware has a familiar title on it, that in return offers comfort. That is mainly the reason why many system launches have similar software as their predecessors; to offer comfort before you branch out into newer software. Easing into a new piece of hardware or any product for that matter makes consumers more apt to attain comfort faster and branch out into different properties faster. Could Ridge Racer be the underlying success for the game industry as a whole? I’ll admit that is going a little too far, but it certainly will have you thinking about it for at least the rest of this day. So will the PS Vita perform well stateside sans a Ridge Racer title [for at least the next 4 months]? I do hope so. I think that dedicated handheld systems are a sacred part of the industry and if they are willing to adapt to the current landscape of mobile gaming they will be able to compete. 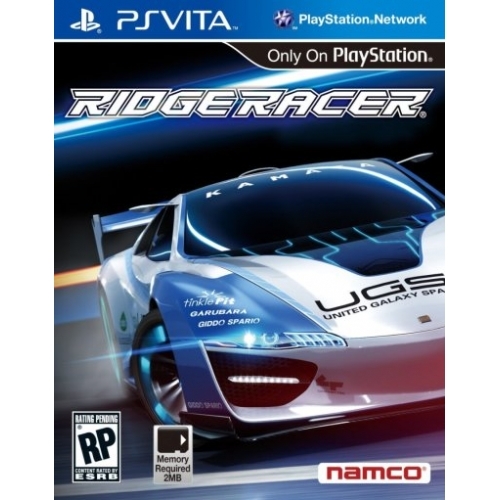 The coming months will be interesting for the PS Vita and hopefully come June that Ridge Racer title will “launch” it to unimaginable heights. So what do you think about my hypothesis? Do you think I am insane and should seek a shrink? Or do you think that there is possibly some validity to this and should be further researched? Let us know by sounding off in the comments section and as always you can follow us on Twitter @GamersAbstract and like us on Facebook for more content.